The 2017 Mitsubishi Outlander PHEV plug in hybrid. DRIVING from the Gold Coast to Cairns on free electric power will a reality within six months. An "electric super highway” is being built with charging stations being installed at Coolangatta, Helensvale, Springfield, Brisbane, Gatton, Toowoomba, Cooroy, Maryborough, Childers, Miriam Vale, Rockhampton, Mackay, Bowen, Townsville, Tully and Cairns. Drivers can fill up at no cost during the initial phase. The State Government will spend $3 million rolling out electric car charging stations to encourage the use of the green technology. It's a timely arrival, with car manufacturers attacking the electric market. 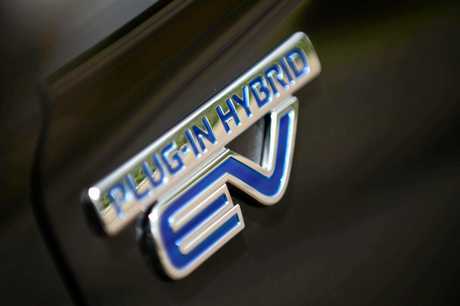 Plug-in hybrids, which combine battery power with a back up combustion engine, will help ease buyer concern. That will be followed by pure electric vehicles - with manufacturers talking of ranges close to 400km in the near future. "This project is ambitious, but we want as many people as possible on board the electric vehicle revolution, as part of our transition to a low emissions future,” Environment Minister and Acting Main Roads Minister Steven Miles said. "EVs can provide not only a reduced fuel cost for Queenslanders, but an environmentally-friendly transport option, particularly when charged from renewable energy,” he said. No surprisingly, the Australian Electric Vehicle Council is full of praise. They say supporting the uptake and use of electric vehicles will provide better outcomes for Australian motorists through lower operating costs and cleaner air. 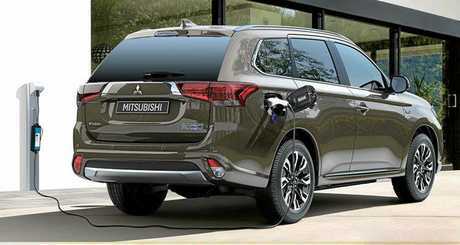 Mitsubishi recently released the second iteration of it's Outlander PHEV. Although it's the prestige car makers pushing the performance envelope. Audi Australia managing director Paul Sansom said fast-charging infrastructure was paramount to the future success of electric vehicles in Australia. "By 2020, Audi will have three fully electric vehicles available to the Australian market, and we want to bring this leading-edge technology to our consumers as part of an ownership proposition that gives them confidence in its suitability to our national road network,” he said. 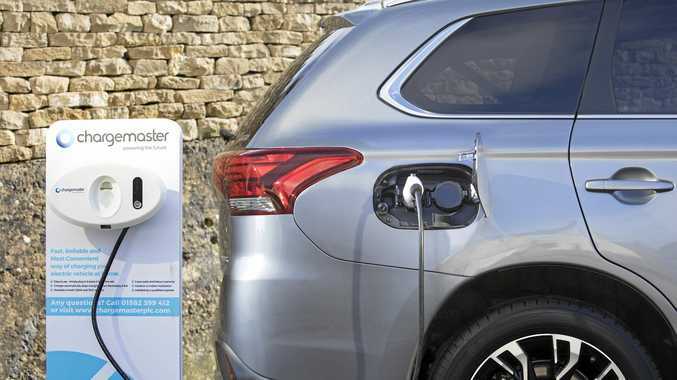 "With the vast distances in between our capital cities, consumers need to have confidence that they will be able to find a charging station when they need it, even if they're driving in an unfamiliar region. This is the current expectation around frequency of petrol stations, and it's - rightly - what consumers will demand as EVs become more prevalent. 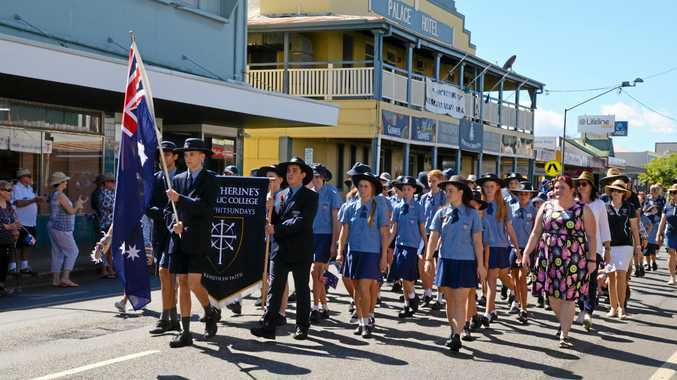 "The Queensland Government should be applauded for their show of leadership, and we look forward to similar initiatives from other states and territories,” said Mr Sansom. BMW has launched its fourth plug-in hybrid, making it available from $108,900 - the same price as the petrol-powered equivalent. 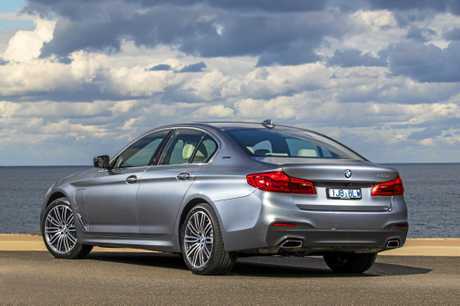 BMW has just released it's 530e hybrid - priced the same as it's petrol-powered equivalent. It's i3 small car has a range of about 300km on pure electric power. "The BMW Group is a global leader in innovative personal mobility and we currently offer seven pure electric or plug-in hybrid vehicles in the Australian market,” BMW Group Australia's chief executive officer Marc Werner said. "We have the product and the customers - now all we need is the infrastructure. Jaguar Land Rover managing director Matthew Wiesner said up to half of his brand's models will be plug-in hybrids or electric vehicles by 2020. Meanwhile, Volvo has announced all its models will have an electric motor by 2019. Mercedes-Benz's public relations senior manager David McCarthy said a prime objective of the three-pointed star is emission free driving. "We already have produced Hydrogen Fuel Cell vehicles for consumers and these will be added to in the near future,” he said.